I’m still hesitant to write this but it’s been 2 weeks now and Megan is still sleeping through the night. 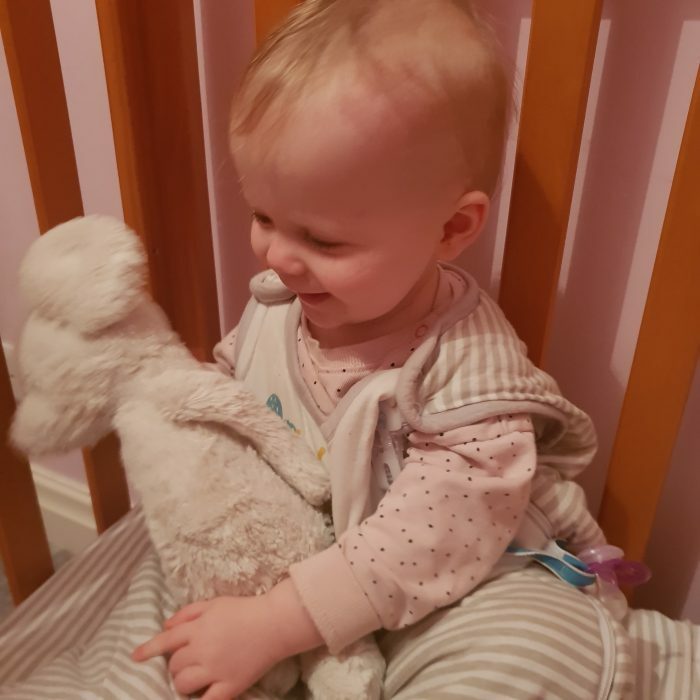 Weaning Megan at night has been a game changer for us and I’ve been asked so much about how we did it so I thought I’d share a blog post about what worked for us. Obviously all babies are different and I can only share what worked for our family but I’ve been asked about it a lot so here’s what we did. I was always hesitant about weaning Megan at night. 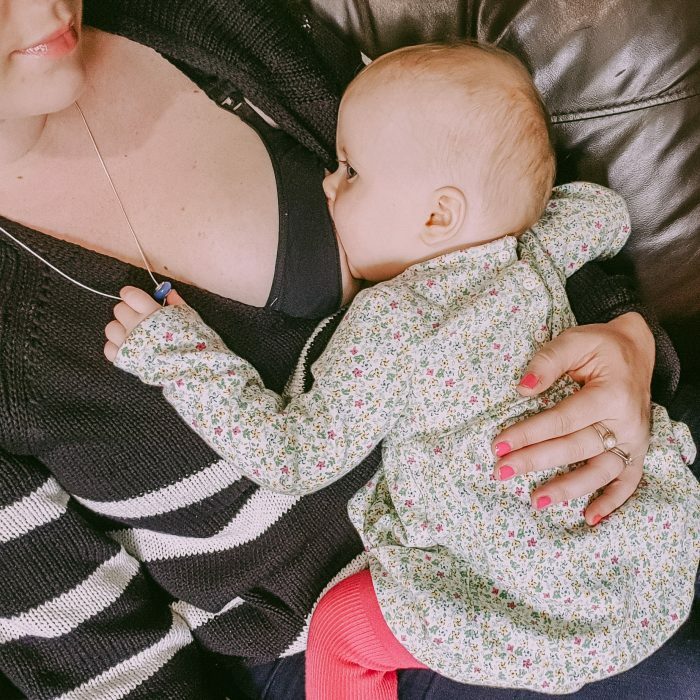 With Harry it was the end of our breastfeeding journey and part of me was worried it would be the same for Megan. When we weaned Harry at night he wasn’t feeding any more, just comfort sucking. With Megan she was still feeding at night and, because she’s small I was worried that she needed the milk she was getting at night. She was still waking 2 or 3 times a night and then up for the day at 5am. It was tough and I was struggling to get through my day to day tasks on very little sleep. She’s 15 months old and I felt like I needed something to change. I decided to start offering her a bottle of water in the night when she woke instead of the breast. I’ll be honest, I was nervous and didn’t think it would work. The first few nights she wasn’t happy with the change. She cried, clawed at my chest and refused the bottle. We comforted her and she settled quickly though, within 5-10 minutes and it was such a relief that Alistair could help. By the third night she slept through. Just like that. I couldn’t believe it. She has been wanting more milk throughout the day which I’ve let her have. I’m picking my battles and she only really asks for “boo boo’s” (milk) at home so I don’t mind her having it. I breastfeed her just before she goes to sleep but she stops when she’s finished, pops her dummy in her mouth and falls asleep in the cot. Over the past few days she’s slept better than ever before, going to bed at 6pm and not waking until between 6 – 7 am. 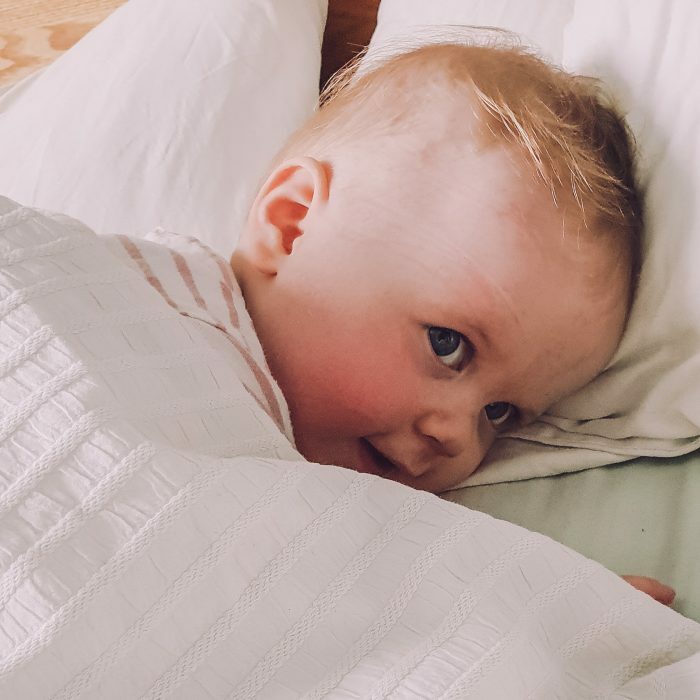 I’m so glad we decided to wean Megan at night, we’re both so much happier in the day because of it and I can’t believe how easy it was in the end. I’m sure we will still have some tricky nights ahead but I feel like a new woman after a few weeks of sleep and I’m optimistic that it will continue. 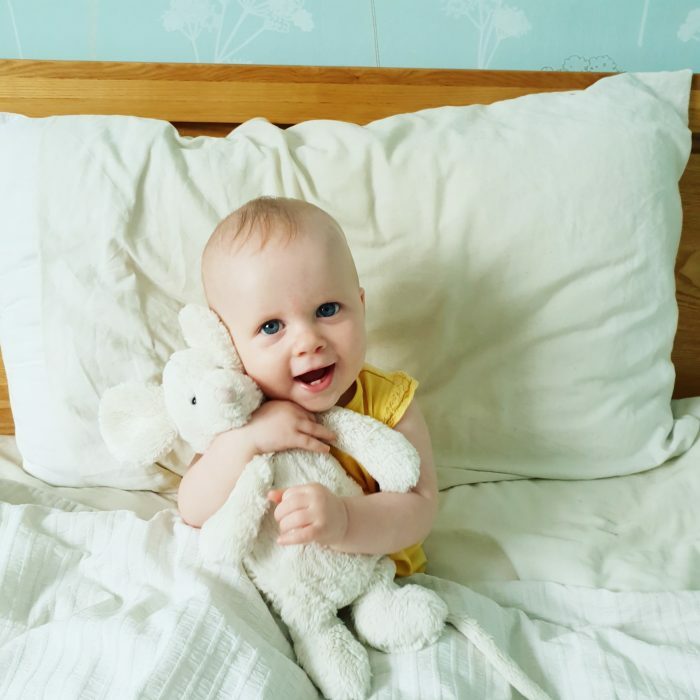 Have you weaned your little one at night? What worked for you? Did it affect the way your baby fed in the day? How old were they when you decided to night wean? I’d love to hear about your experiences too!